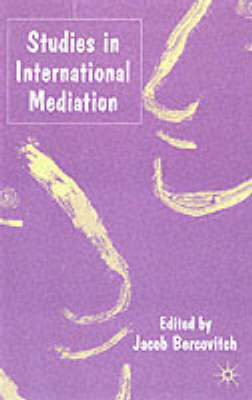 Studies in International Mediation brings together a number of prominent scholars in the field of international relations. The central concern of the contributors is mediation effectiveness and how best to achieve it. Within these parameters, three major themes are highlighted - the determinants of mediation success, the range and diversity of mediation in the contemporary environment and new strategies of intervention. The contributors take a systematic approach to analyzing some significant aspects of mediation and consider the process in the overall context of conflict management.